I’d been burned before. 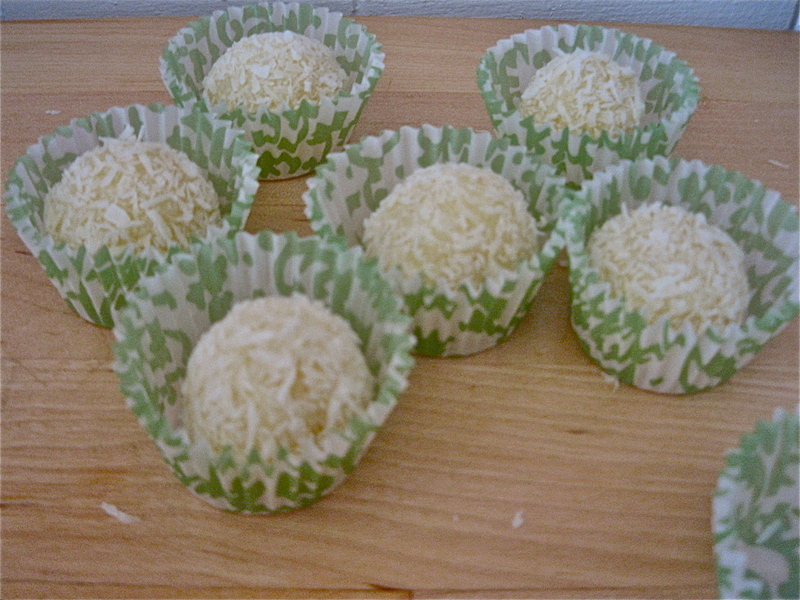 Last summer I found an old recipe for Brazilian coconut candies called brasileiras. I put all the ingredients together as directed – egg yolks, freshly shredded coconut, sugar – but they wanted nothing to do with each other. I Googled “brasilerias” to find my mistake but the results were (not surprisingly) unhelpful. A few weeks later, I attempted beijinhos de coco or “coconut kisses”. 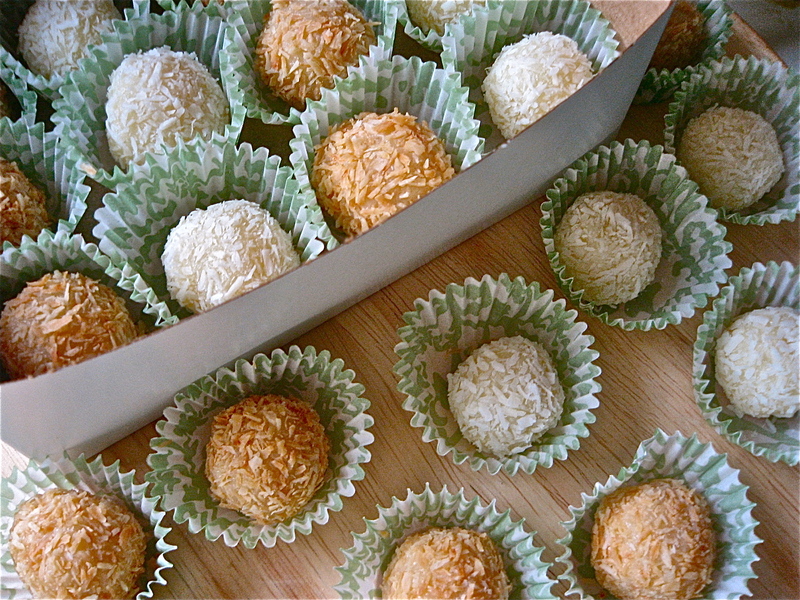 Similar to the brasileiras, they’re a combination of condensed milk, butter, and grated coconut that are rolled into balls and decorated with a single clove. This version called for a final dip in chocolate and almonds. I should have known when I wasn’t able to form the coconut into balls, mounds or anything like it that I’d made a mistake somewhere. I kept going anyway, making an expensive chocolate almond mess. I pretended they were edible, but after a day or two, I stopped kidding myself and threw the rest away. I hadn’t looked a coconut in the eyes since. Traditionally, brigadeiros have added cocoa powder and the fudge is then rolled in chocolate sprinkles. The coconut version is similar to beijinhos, but I didn’t mind switching the chocolate to coconut as long as they had a new name (with a flirty origin) to make a fresh start. Barely adapted from Leticia Moreinos Schwartz, The Brazilian Kitchen. 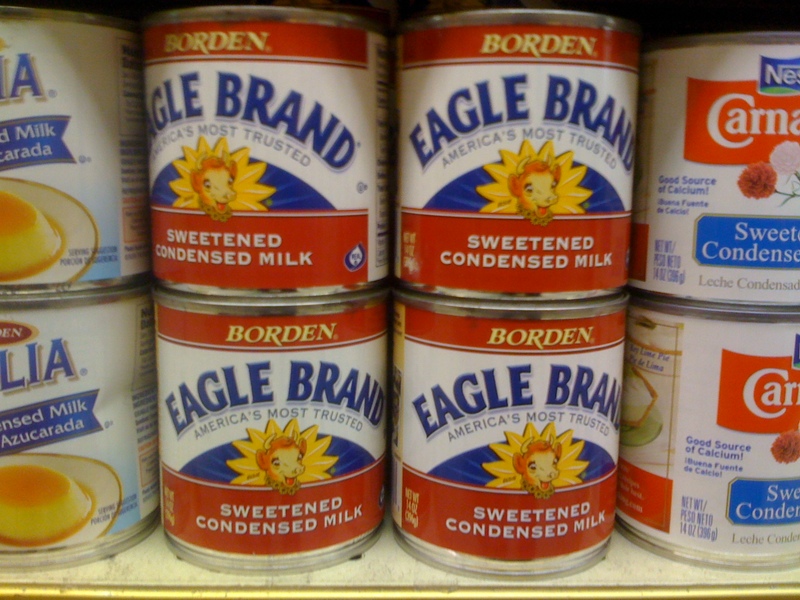 The recipe is straightforward, but I made sure I had a spare can of condensed milk in case I need to start over. It called for corn syrup, which I usually avoid, but wasn’t taking any chances. When my first batch produced the blob as promised, I decided to use my spare ingredients to switch out the corn syrup for honey. Darker and sweeter, I decided to roll them in toasted coconut. 1 cup finely shredded unsweetened coconut (see note). In a medium-size heavy saucepan, combine condensed milk, coconut milk, butter, corn syrup, and 1/2 cup shredded coconut. Bring to a boil over medium heat. Reduce heat to medium-low and whisk constantly until fudgy and whisk leaves trails in the mixture, 8 to 10 minutes. When mixture is ready, it will pull together into one soft piece, leaving browned residue on bottom of pan. Slide mixture into a bowl. (Don’t scrape the pan; leave any residue behind.) Let cool to room temperature, then refrigerate until very firm, 3-4 hours. Place remaining 1 cup of coconut in a wide bowl. Scoop out a teaspoon of batter and roll into a ball. Drop into the coconut as you finish rolling it. 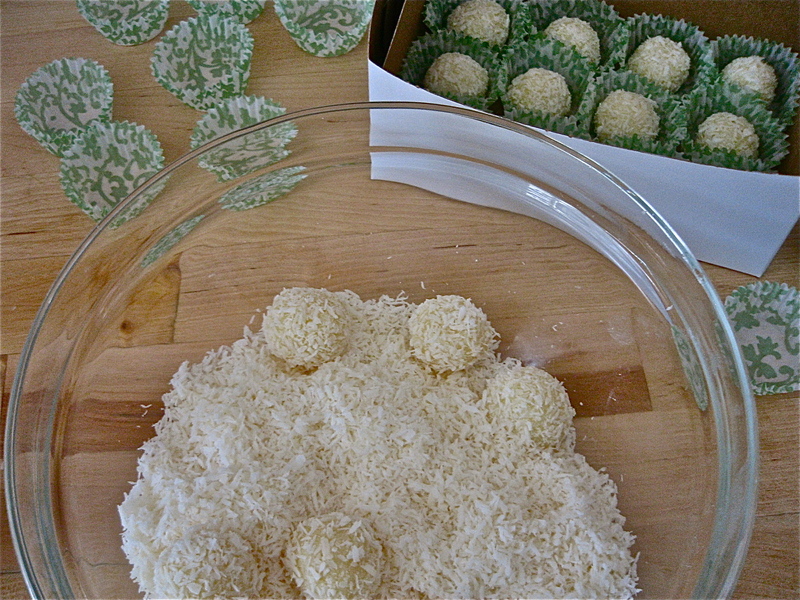 Roll 4 to 6 brigadeiros at a time through coconut, covering surface completely. Lift out and shake off the excess. Store in an airtight container at room temperature for 2 days, or refrigerate for up to 1 month. Serve at room temperature. Note: If you’d like to toast coconut for rolling. Preheat the oven to 350 degrees. Spread remaining coconut on a baking sheet checking often and stirring regularly, about 4-5 minutes. Hello! I am Brazilian and I’m one of those small delights store! The Brazilian brigadier is in her prime. Appreciation of our tradition! I was overjoyed to find this adaptation of our candy here. Hi! I tried to make this and it was semi-successful. They tasted really good but my main problem was that the mixture didn’t ever solidify enough – I let it refrigerate for 4+ hours before trying to mold them into balls, and even then they were still slightly mushy / easily misshapen. I guess it could have been the heating part- I never saw any residue on the bottom like the instructions said. Do you have any suggestions, like adding more of a particular ingredient or making a modification to one of the steps? Hello! If you’d like it to be firmer, I would definitely let it cook a little longer to be sure that it has the right consistency before it’s chilled. Keep it at a lower heat if you’re worried about it scorching. Let me know. I am Brazilian and have my own food blog. The Casquinha de Siri that you posted is one of the dishes that I thought how to make it in one of my cooking classes althought our recipes are a little different. Thanks for posting Brazilian recipes here. By the way, you have a great blog. Kudos! 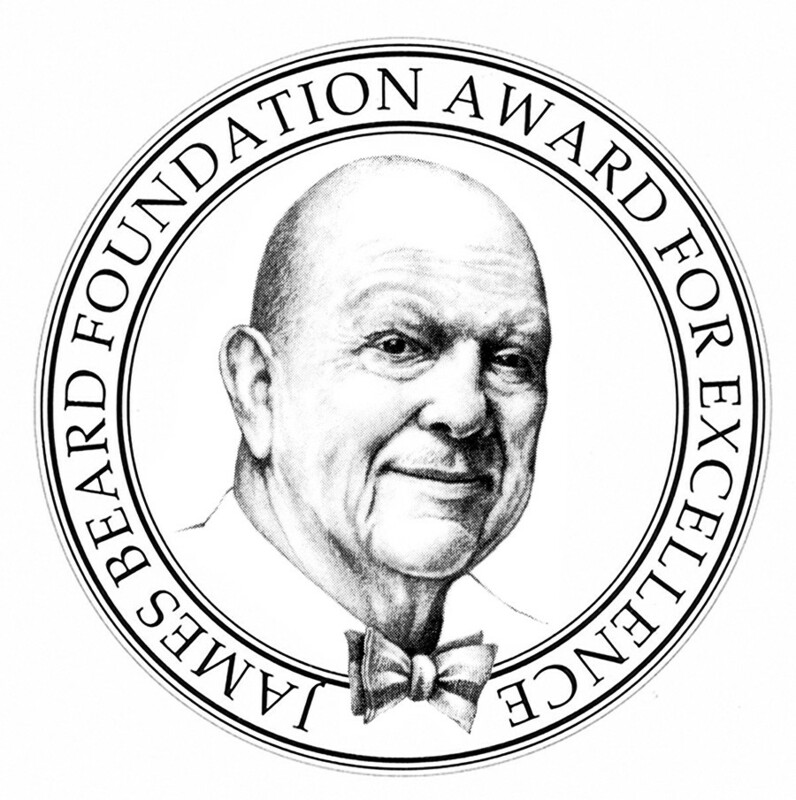 Good luck on Saveur awards! Thank you! 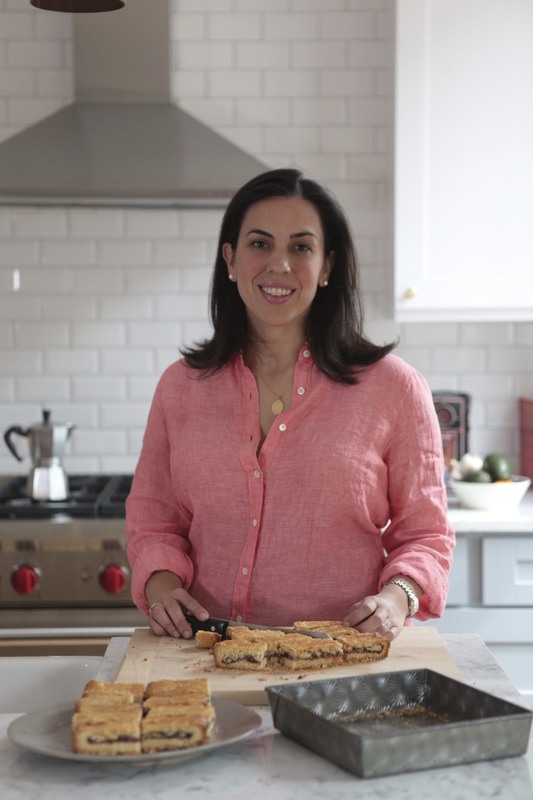 The recipe is from Leticia Moreinos Schwartz The Brazilian Kitchen. I love Brazilian food but it can be intimidating though always worth it! Thank you for sending me your blog! Thanks so much for replying my comment and visit me here. Leticia has a great and more elaborated recipe for Casquinha de Siri and you executed it perfectly. You did an excellent job! Have a blessed week!